The Very Hungry Caterpillar is a work of literary genius and as my rantings, I mean writings, are primarily about diet it would be fitting to analyse that great children’s book here: that caterpillar seemed to be down on intermittent fasting don’t ya think? But what I wanted to talk about was a little story my yoga teacher told while I was lying on ground in Shavasana pose gasping for air. A teacher and his class of children have collected a cocoon and are waiting for the butterfly to emerge. As the process starts the group witness the tremendous fight of the butterfly as it tries to emerge from the cocoon. The children want to help the butterfly but the teacher tells them no, "We must let the butterfly do it all on his own." The teacher leaves the room and the children, feeling so sorry for the butterfly, pull at the cocoon freeing the butterfly. But the Butterfly can not fly and dies. When the teacher returns he explains to the children: the butterfly has to fight so he strengthens his wings for when he finally breaks free. The struggle is what makes him strong. It is what turns him from a hungry little caterpillar into a magnificent butterfly. 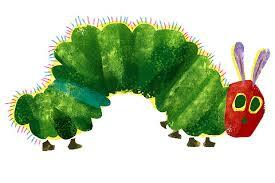 Pretty sure that I am the caterpillar in this story and if I go to yoga I become....a butterfly? But it got me thinking about struggles. I can remember my mother telling me that bad stuff was ‘character building.’ But I’m not talking about hard life lessons or life throwing curve balls. The struggle we overlook is often the just-keep-going struggle that is the hardest of all to conquer. If you want to achieve anything you must keep at it, but many of us (ok me) abandon the goal long before we taste success. Many of us let external factors interfere, sabotage or lead us astray. There is no strength, where there is no struggle. The beauty of the butterfly didn’t come easy and neither does anything else worth having. It's been a few days since that class and the caterpillar story keeps playing through my mind. I want to be a butterfly. So I read, seek ideas, change direction but like the caterpillar I need to focus and I need to fight and keep fighting until one day I break free and fly. The Caterpillar story works wonders when at 5am you are asking yourself if you want to get up and go for a run. If you don't like my yoga instructor’s story then there is one about another caterpillar who goes on a 7 day eating binge that is pretty good reading.